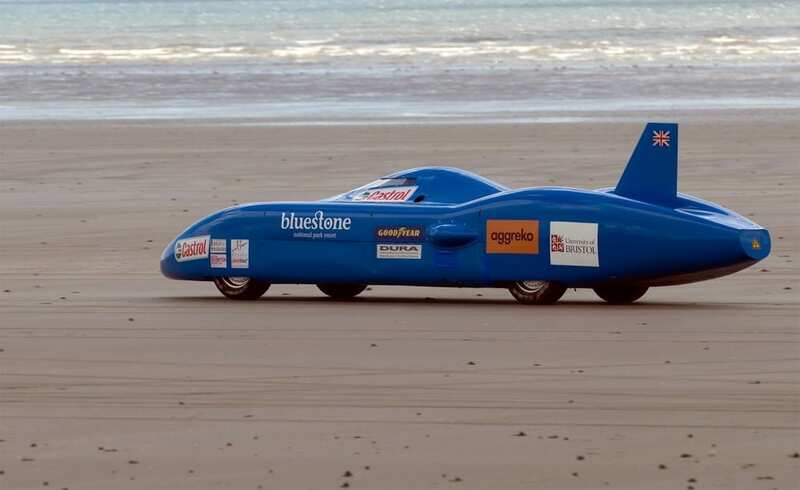 World land speed records are being attempted on a Carmarthenshire beach this weekend. Custom-built vehicles and powerful motorbikes are attempting world and European best times at Pendine Sands, on Carmarthen Bay’s shore. 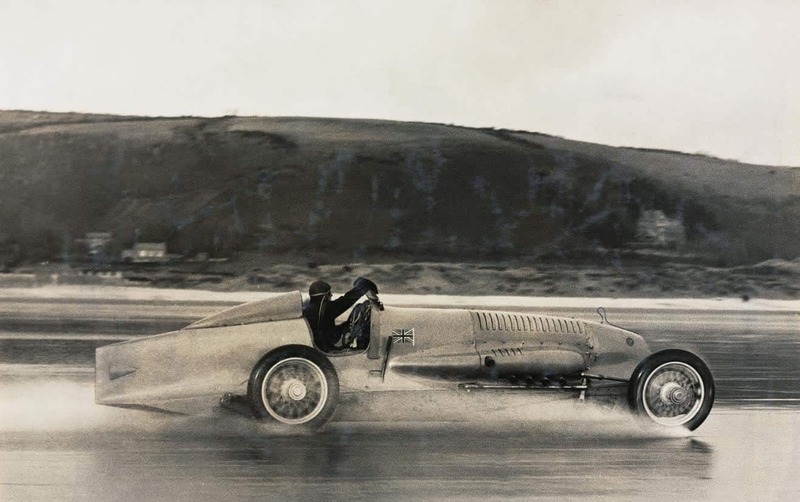 Pendine became synonymous with land speed attempts since Sir Malcolm Campbell broke the record in the legendary Blue Bird in the 1920s. Welshman JG Parry-Thomas died trying to break the record at Pendine in 1927. A businessman who said he nearly died in a high-speed motorcycle crash at an event last September raced for the first time on Saturday since suffering life-threatening injuries. Zef Eisenberg, founder of the Maximuscle nutrition brand, broke 11 bones in the crash. Now thats gotta Smart? 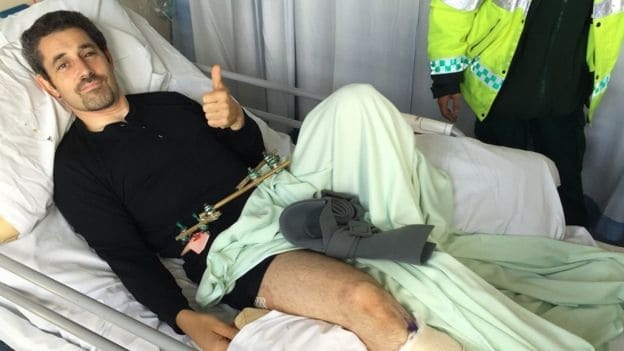 Below, giving the thumbs up to recovery as Zef gets put back together like the Bionic man and hopes to be back up on 2 wheels again soon. He attempted to break the existing sand speed record of 184mph (296 km/h) on his gas turbine bike. 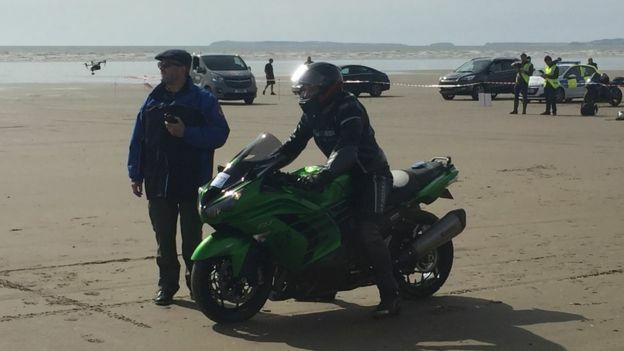 “Pendine Sands marks the next significant milestone in my recovery following last year’s death defying 230mph crash,” Mr Eisenberg, an entrepreneur from Guernsey, said ahead of the attempt. The event, by Straightliners, takes place at Pendine Sands on Saturday and Sunday and speeds will need to be officially verified. A sleeping Machine gets awoken as Parry Thomas car is Dug out of pendine sands back in 1969 below, no narration but great to see. 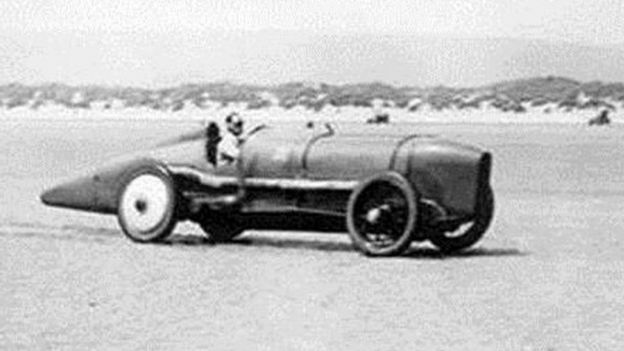 In March 1927, John Parry Thomas was making an attempt on the Land Speed Record, when his car crashed and he was killed. The car, known as ‘Babs’, lay buried in the sand for over 40 years, until Mr Owen Wyn Owen decided to rescue and restore her. Fifty years to the day after the crash, ‘Babs’ runs again on Pendine Sands. Here is the infamous BABS being started once more and running a little more on an even Keel. Great to see it restored. Hope to visit one of these days and see some of this for myself as I have been to most of the Dry lakes in the USA, so a bucket list tick for sure. This entry was posted in Blog and tagged BABS, beach race, Blue Bird, Donald Campbell, John Parry Thomas, land speed record, pendine sands.